I love reading about other homeschooler’s curriculum choices, and what goes on in their homeschool days! Many times though, I just see posts of what the plans for the year are, but am left wondering if the year turned out like they planned, and what they would have done differently. So, I decided I should post an update of what I had planned versus how the year turned out for us. I basically cut and pasted my old post with my plans from the beginning of the school year last fall in BLACK, and wrote what really ended up happening in RED. I hope you enjoy this post, and that it inspires you to be flexible in finding what works for your kids regardless of what plans you set in place at the beginning of the year. Memory Work – First and foremost, we will be focusing on our Memory Work. You can read all about what we memorize and what resources we use in THIS POST. 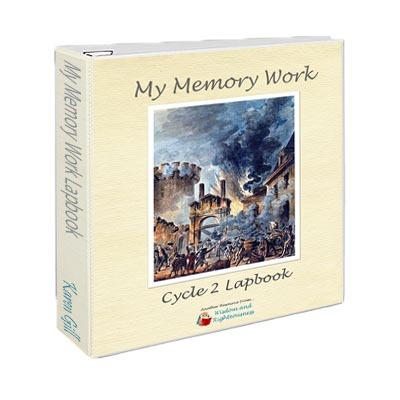 Of course we will also be using the My Memory Work Lapbooks as a hands-on project based way to review our CC memory work. REALITY: This is in fact what we ended up doing. 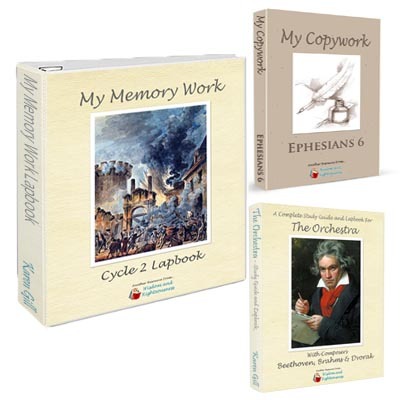 At the beginning of February however, we started prepping for CC “memory masters”, which then had us postpone adding any new memory work that was not CC related until after testing was over (catechism, extra scripture verses, greek grammar, latin vocabulary). Now that testing is finished, I plan to catch up on the missed weeks in the upcoming months. I have enjoyed adding this memory work to our load. Reading – Our 4-year-old will start All About Reading this year. I have not used this program before, but love the All About Spelling Program that we have used for a few years, and have heard great reviews about All About Reading, so I am looking forward to using it. With the older two, I just created my own plans, but with trying to teach three of them, I knew I needed a more “open-and-go” resource. REALITY: The 4 year old spent three weeks on Lesson 1 in September, so I put it aside. It is not the program’s fault – I absolutely LOVE it!!! But he just wasn’t ready. I pulled it out again for second semester, and we are slowly working through it. He really wants to learn to read and enjoys sitting on my lap for his lesson, so although we don’t make great progress each day, it has been enjoyable. If it ends up being a burden, I will set it aside again and come back to it at a later date. I actually ended up ordering Level 2 and starting my 7 year old on it at the beginning of the year just to make sure he didn’t have any reading gaps. He actually reads quite well, but this has helped me identify some things we never discussed, and will be a huge help in his spelling. He is finishing up Level 2, and we will work through Level 3 this summer. Spelling – All About Spelling of course! The oldest two – my first and third graders are using this. (Level 1 and 3). YES! LOVE, LOVE, LOVE IT! open-and-go resource. Plenty of built in repetition if needed. My son loves the magnetic tiles, and my daughter loves to write on the whiteboard. They also just spell things verbally. I love how flexible, visible, and hands-on it is, all while being very simple to use. We will be moving onto levels 2 & 4 in the next week or so. Grammar – Only my third grader does grammar, just as basic prep for going into Essentials in 2014-2015. Last year we used First Language Lessons Level 3, and she loved it – in fact it was her favorite subject – crazy! This year we will be using Shurley English Grammar Level 4 because I wanted more in-depth practice than we found in FLL. Only time will tell if this was a good change, or if we should have stuck with FLL. In both curriculums, we use the CC memory work information when it comes to definitions of things. TIP: We downloaded all the English Grammar songs by NoGreaterJoy on CC Connected for all cycles so that we have all of the CC definitions and can use them with our grammar studies. REALITY: I love my statement two lines up that says “Only time will tell if…” Well, time did tell – a LOT of time. We started this program, and it rapidly sucked all of my daughter’s enjoyment out of grammar. Especially since she will be going into Essentials this fall, I decided this just wasn’t right for us. I am planning to stick with FLL for Essentials prep from now on for the rest of my kids (Levels 3 & 4). After we dropped Shurley English, I just had her do the EvanMoor Daily language Review for fourth grade. It ends up being about 5 questions a day. Easy to complete, and brought up some things we hadn’t discussed before. Spanish – After a number of years of looking at Rosetta Stone and chickening out from spending the money, I finally decided to get it. The reason? I am originally from Arizona, a state with a high use of Spanish, and I feel like it is important for the kids to learn it. Learning other languages flexes brain muscles in ways that other studies can’t. Our family wants to put an emphasis on languages. I just never know where the Lord will call my kids, or us as a family, and what better way to prepare to “Go into all the world?” Both the first and third grader will be using this system. The homeschool version allows you to pick and choose the components that you want to use. Since my kids are in the grammar stage, and they get lots of writing practice, I have chosen to skip any writing and grammar activities in the program to focus on vocabulary and image recognition. After they go through the program, I will have them do it again and use the higher-level applications that are available. While our family shies away from electronic learning, I am so glad that the kids can work independently on this subject! REALITY: The kids aren’t moving through the program as seamlessly as I had hoped. The “speaking” component is really hard for kids. It expects them to get the accent just right. I even turned down the sensitivity as low as it can go, but it still can be frustrating for them. The advertise that you have the option to select your homeschool plan, but in reality, they have plans already established with different components, so it does not offer as much flexibility as I would have liked. Overall, I am still happy we have it and are using it (progressing slowly), it just ends up being more hands-on for me than I had originally anticipated. Math – My first grader will be using Math-U-See (Beta Level). We love this program, especially for my hands-on learner! I used Alpha and Beta levels with my third grader in the past, and have been happy with it. We used Singapore over the summer, and it was good too. My third grader will be using Saxon Intermediate 3 this year. I have always planned to switch to Saxon 5/4 when they got to that stage. When I found out that Saxon Intermediate 3 is the same as Saxon level 3, but written in the 5/4 style (meant to be independent for the student), I decided to switch now so that she will use Saxon 5/4 next year. Since we complete two math curriculums per year, I don’t feel the need to find the “perfect” curriculum, but rather expose them to a variety of ways of looking at the language of numbers, orders, and systems. REALITY: This seems to have gone well. Both kids are completing their programs. Saxon is a little dry, and a bit of a hard switch for someone coming from Math-U-See. Not because of the conent, but because of the time required to complete a lesson. I would say my daughter generally finished two worksheets a day with MUS in about 15-20 minutes. A full Saxon level takes 30-45 minutes at best. Both kids are looking forward to their “summer math” work in Singapore again this year. It just has a lot more pictures and color. We will return to Saxon this fall. Writing – generally, we just do copywork. My first grader will continue in his Classically Cursive copywork books from Veritas Press. My third grader will be working through the Student Writing Intensive from Institute for Excellence in Writing. Again, this is in preparation for her entering Essentials in the 2014-2015 school year. I don’t think this is neccessary for entering Essentials, but I wanted to take the year to slowly work through the ideas presented by IEW together with her, at our own pace so that she might be better prepared to work at the pace and level needed for Essentials. My third grader is an eager reader and loves to write so this should work great. She is looking forward to it. REALITY: The kids finished their copywork, and are now starting their summer copywork books. My first grader is also now doing some ACE SCIENCE PACE’s for fun. He enjoys them, and can work independently. They aren’t especially challenging in any way from a science perspective, but they require him to read, understand, and be diligent, all skills which I want him to develop well! We haven’t made it as far through the IEW writing program as I had hoped (for my third grader), but what we have made it through has been enjoyable and useful. I still think I will have my daughter finish it before the start of school this fall, since she will be starting Essentials. Timeline – I broke down and purchased the Timeline Resources from Homeschool in the Woods. While I don’t think you need a fancy resource like this, I found that my good intentions of completing a timeline the last couple of years somewhat fell by the wayside since it required a lot of prep and organization from me. Now it should be easier to regularly complete it! We will also add the events from CC memory work, our Bible Timeline, and Mystery of History or other history information when we come across it. REALITY: I actually got this thing printed, and the images ready, but we haven’t pulled it out. Alas, someday. Maybe this summer??? 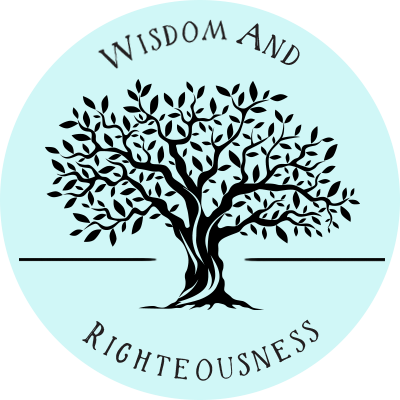 Reading – the Bible and lots of great books! We also will be listening to the second half of Mystery of History Book 1 covering Greece and Rome. No formal study plan, just using it like a “read-aloud” when we have time. The way the author Linda weaves the story of God and His redemption and makes it so obvious that history is beautiful, and truly HIS story! I just love, love, love it! REALITY: Yes! This has happened. LOVE MOH audios! Without them, we would never get any more history study in! Projects – Art DVD‘s, History Pockets, and/or Resources from Homeschool in the Woods. These are purely extras for days we want something different and hands-on to do, or snow days, weekend activities, etc. We will always focus on our Memory Work, Math, Language Arts and read-alouds. Everything else is optional. REALITY: We have loved our art DVD’s. the kids can out one in and follow it at any time. We have learned how to use different mediums and techniques than I have ever used, which has been fun. I have enjoyed them as much as the kids. We have worked through parts of our HSTW resources as they coorelated to CC and as we have had time. This is all optional, so we will see what we end up with by the end of the year. So, this is how our homeschool year has ended up. Becca (3rd grade) tested for Memory Masters and passed. We completed a lot of what we set out to do, and had fun in the process. We only have two more weeks left of Classical Conversations, and our closing ceremony. The first hints of spring are finally making their way to Wisconsin – though there is still snow and ice on the ground this morning. In the next few months, I am looking forward to finishing up some of the things that were set aside this last month in our focus on preparing for Memory Master. We will probably work in some more of our hands-on resources as the kids get more ancy to be moving, and gather together our work for the year. A friend and I decided to throw our own “End of the Year Program”. The kids will probably put on a simple play, select some piano pieces to perform, display their artwork, projects, lapbooks, and perhaps even demonstrate a few science experiments. There will be presentations and reciting memory work. Hopefully we will share all this with grandparents, aunts and uncles, cousins and friends. Looking forward to celebrating our year! Hope all of you have had a great homeschool year as well! What a treasure it is to homeschool our children, and to grow with them! P.S. I’d love to hear how your homeschool year turned out! Brilliant! Thanks so much for sharing this. "The best laid plans of mice and men…." I think we all have greater ambitions at the beginning of a school year, but our kids still benefit, regardless! Ha! Thanks Lori! You are right! Thanks for sharing this information — it really helps to see how "experienced moms" respond to the unexpected changes and the responses of their children. It's a great example for moms like me, who are just starting out! Appreciate the time you took to share this with us. No problem Sharon! Glad you found it helpful! One of the greatest blessings of homeschooling is that we can be sensitive to our children's needs. Many blessings as you carve your own path!